Perry Block - Nouveau Old, Formerly Cute: Do I Deserve the Phillies? During most of the years of my youth, the city of Philadelphia was well known and widely regarded as the Armpit of Baseball. And burrowed deep within that armpit were the Philadelphia Phillies of the National Baseball League and me. In the 1950’s and early 60,’s the Phillies were indisputably the worst team in sports. Consistent cellar dwellers, they cemented their execrable reputation in 1961 by losing 23 games in a row, an abominable achievement never since equaled. The next year manager Eddie Sawyer fled the job early in the season declaring “I'm 49 years old and I want to live to be 50!" In 1964, the improbably first place Phillies squandered a six-and-a-half-game lead during the final weeks of the season to blow the NL pennant in one of the greatest collapses since Chevy Chase’s career. And during those years, awkward, uncoordinated Perry Block was routinely picked last for sides in every gym class from grades 1 through 6, ran at a speed well eclipsed by the hour hand on a very slow to broken wrist watch, and no matter how hard he tried, always pretty much threw like a girl. Yep! The Philadelphia Phillies and me --- perfect together! Well, that’s all changed. For the Phillies, that is. Today our Phillies are the toast, blueberry muffins, and Belgian Waffles with ice cream of baseball. Supported by Phillies Nation which packs Citizen’s Bank Park to SRO for every game and often overruns opponents’ ball parks like rapacious Mongol hordes, the Phils are riding high over the NL east with the best record in baseball and more wins than Tiger Woods’ golf scorecard and dating history combined. The Fightin’ Phils possess an array of big name stars like Ryan Howard and Chase Utley and one of the best pitching rotations in baseball history in Roy Halladay, Cliff Lee, Cole Hamels, and Roy Oswalt. So potent is the lure of baseball’s newest Mecca that Cliff Lee passed up millions of dollars to come to Philadelphia to make only millions and millions and millions of dollars! So, what the hell do I have in common with these guys? Do I even deserve them? The Phillies play with confidence and a can-do attitude. Whether it's standing over a putt or tossing around a wiffle ball, the only thing I'm confident about in sports is my lack of confidence. In the realm of physical endeavor, my prevailing mindset is rarely can-do and way more often just didn't! Phillies players have really cool names like Hunter Pence and Chase Utley and even cooler nicknames like The Flyin' Hawaiian, Doc Halladay, J-Roll, and Chooch. My sports nicknames? Mostly unprintable. If I had a nickel for every time a disgruntled teammate said "blew it again, Blockhead!," I'd have enough money to sign Cliff Lee. 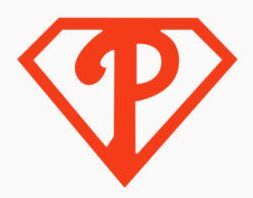 Today's Phillies are generally regarded as the best Phillies team this city has ever seen. My team is the best ever? When it comes to athleticism, frankly I'd be happy to be just not the worst sometimes! I wonder if it's even permissible for someone like me be a fan of the Phillies. If I’m found out, will I be forced to choose another team to root for? Or will I just be assigned the Mets? I’ve been following this team all my life. I suffered through the lean years, the leaner years, and all the other mostly fat-free and/or at least highly reduced fat years. And I love the City of Philadelphia! I love baseball! Well, I mean in a platonic way; I don’t sleep with my glove on. So maybe I do deserve the Phillies. Quite frankly --- star athlete and bench warmer alike --- we all do.